Sometimes you just want a grilled cheese sandwich. You know it’s not that great for you, and there might not be a whole lot to it, but sometimes it’s the only thing that will hit the spot. I feel the same way about Michael Connelly’s books. Look, he’s not going to ever win the Pulitzer or Man Booker prizes, nor is he ever going to Stockholm to get the Nobel Prize in Literature. AND THAT’S OKAY, because sometimes you just feel like a grilled cheese. Michael Connelly mostly writes police procedurals, and the majority of his books revolve around LAPD detective Harry Bosch. First appearing in 1992 in The Black Echo, Bosch is featured in 21 novels (as of this writing), with the most recent being the recently published Dark Sacred Night. In those 21 books, Bosch cycles through a series of partners, love interests and villains. It’s one of those series where reading them in order matters, as major events in one novel have repercussions in later ones. Picking up a new “Bosch” is like reconnecting with an old friend and spending a few days together. In this case, there’s usually also a murder involved. Michael Connelly is really great at using real world locations in his novels, and I can’t stop myself from going onto Google Maps and Streetview as I am reading his novels so I can look up different locations. I even sometimes question Bosch’s driving routes, like “Why is he taking the 101? Wouldn’t the 5 be faster?” I know, I’m weird. I had the pleasure of meeting Michael Connelly a few years ago at a book signing. I shyly waited in line, and when I got to the front I told him I worked in a library. I explained that I often recommend his books to people who are looking for a good read. He seemed genuinely pleased and when he handed my book back it was inscribed, “To Trevor, Thanks for pushing Harry Bosch at the library! Michael Connelly”. It’s my favourite inscription! Sometimes a grilled cheese is just what you’re looking for, and when you feel like literary grilled cheese, may I recommend a double serving of Bosch? Titus Welliver as the titular character in Amazon Prime’s series based on the books. It’s around this time of year when movie studios begin to release the films they hope will be in the running for next year’s awards season. One of the movies that is getting early “Oscar Buzz” is A Star is Born, starring Lady Gaga and Bradley Cooper. Bradley Cooper also directed the film; his first one. Did you know that A Star is Born is a remake of a remake of a remake? It’s true. The original A Star is Born was released in 1937. It was remade in 1954 with Judy Garland and James Mason, and again in 1976 with Barbara Streisand and Kris Kristofferson. Each version tells the same basic story of a grizzled down-and-out celebrity who mentors a new, fresh talent, and as the popularity and success of the new talent rises, the career of the established character burns out. (Sorry about the spoilers for an 80 year old story that’s been told four different times). In the original, the action is based in Hollywood and tells the story of a young woman who rises out of obscurity and makes it big as a star of the silver screen. Fun fact: the 1937 version was the first colour movie to get nominated for Best Picture. You can watch on WPL’s digital services Hoopla and Kanopy. In the 1954 version, musical numbers abound as Judy Garland’s character transforms from the leader of a musical ensemble into a star of movie musicals. The following remake (1976) ditches Hollywood and makes the mentor character a drug-addled alcoholic rock star (Kristofferson) who discovers the titular star who gets born (Streisand) and the usual twists and turns insue. The newest take on this well-worn tale appears to have Bradley Cooper as a country singer and Lady Gaga as a pop singer. It played at the Toronto International Film Festival to rave reviews, and goes to show that, like interesting covers of classic songs, some stories can be told again and again (and again). Welcome, dear readers! It’s that time at the beginning of the month when you should check your podcast feeds because a BRAND NEW EPISODE of WPL’s podcast, Time to Read is now available wherever you find your podcasts and on our Time to Read website. If you’re not familiar with it, Fun Home is the author’s own story of growing up in an unconventional family (they are part-time funeral home operators, hence the book’s punny title), and how she tries to come to terms with her own sexuality and the possibility that her father may have ended his own life. It doesn’t sound like cheery stuff, but a Tony winning Broadway musical was inspired by it, and there is quite a bit of humour throughout. I should also mention that it is written as a graphic novel (a fancy term for comic book) which allows the author to cram in tons of little specific details which make it a good book for repeat reads. In addition to the book, the gang discusses the Bechdel test (and other pop culture tests) named after the author, and how journal writing has worked (or not worked) for us, among other things. If you want to get in on the fun, pick up next month’s read, Son of a Trickster by Eden Robinson. You may be interested to know that we have a SECRET GUEST PANELIST next month, so you won’t want to miss it! Maybe I’ve said too much. Posted in Book Clubs, Miscellaneous, What to Read Next? I just finished watching Twin Peaks: The Return, the incredible, maddening, brilliant puzzle box mystery told over 18 hours last summer on Showtime. The library has the collected series on DVD, and I am left at the end of it with more questions than answers. I am sure this was creators David Lynch and Mark Frost’s intention all along. I’m not going to be able to do the show justice in one blog post, but let’s just say you’ll know pretty quickly where you are into it or not, starting with Season 1, which aired way back in 1990 on ABC. 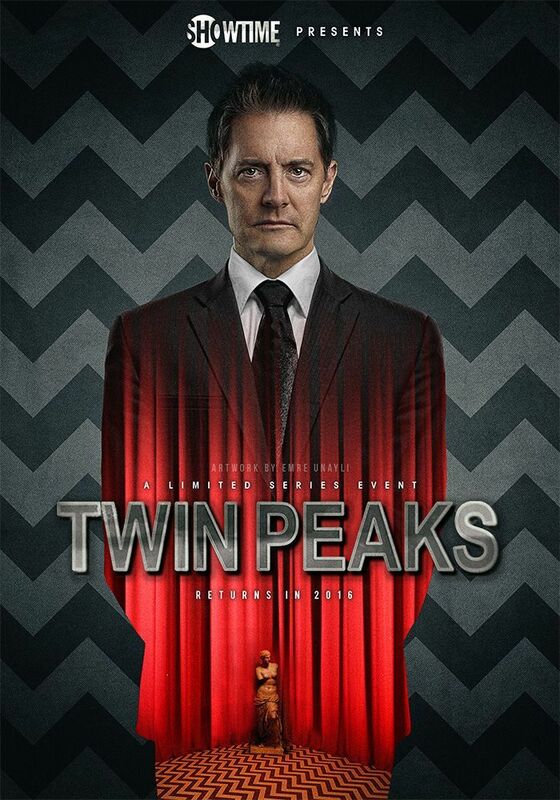 In one of the final scenes of the second season of the show’s original 1991 run, the spirit of Laura Palmer leans in to Special Agent Dale Cooper, both captives of the Black Lodge, and whispers, “I’ll see you again in twenty five years”. By some amazing meta-reality twisting, fans of this peculiar show are presented with the fulfilment of this promise in almost real time. Many of the original cast returned for what would be their final roles. (Almost every episode ends with a “In Memory of” tribute to someone who you had just been watching). Many long-term David Lynch collaborators, such as Laura Dern and Naomi Watts, appear for the first time in the Twin Peaks universe, and it was a joy, if not a frustrating joy, to watch it all unfold. Part way through the series, (I believe it was after the particularly mind-bending episode 8. No spoilers here, except to say that if you don’t have a clue what you just watched, you are not alone), I knew I had to turn to some expert help. I found a wonderful podcast by Entertainment Weekly writers Jeff Jensen and Darren Franich that goes deep into each episode. To give you an idea how deep, their episode on the finale runs for three and a half hours! Myself, I found the podcast an essential companion to the new season. In addition to this podcast, WPL has some great supplemental resources for those Twin Peaks fans left wanting more. Mark Frost, the co-creator of the series, recently published a couple of books that help fill in some gaps in the mythology. 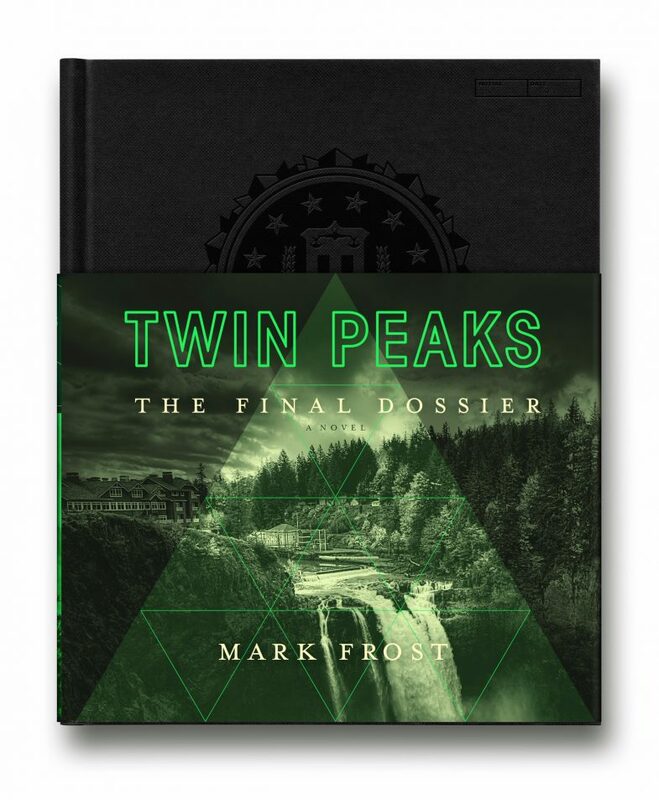 Both Twin Peaks: The Final Dossier and The Secret History of Twin Peaks are worth checking out. Could these be the final words we ever get from them about Twin Peaks? 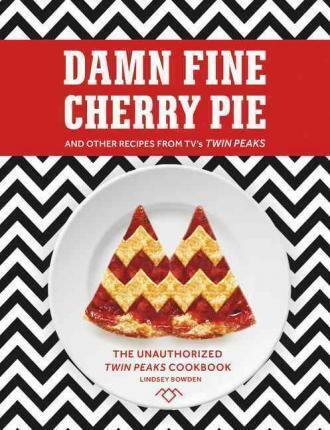 Coffee, donuts and cherry pie play prominent roles throughout the series, so it only makes sense that someone would write a Twin Peaks cookbook. I’d avoid the creamed corn if I were you. 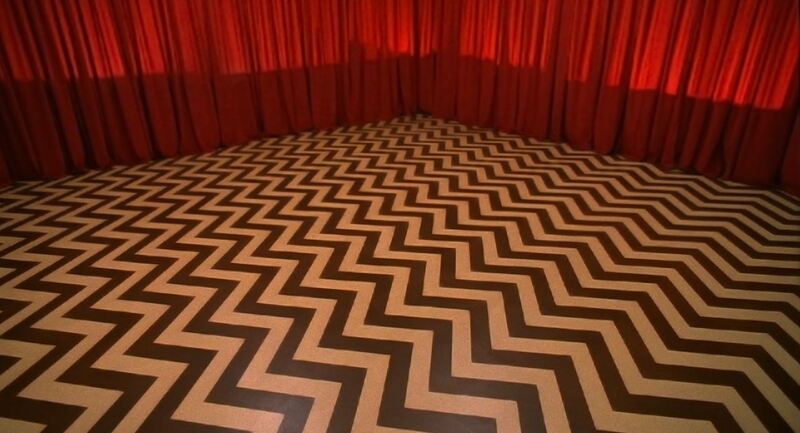 Music also plays an important role in the Twin Peaks experience, with many episodes of the new series ending in the Roadhouse with full performances from a variety of interesting musical artists. Additionally, the haunting themes of Angelo Badalamenti are peppered throughout the entire run and set the mood for this show’s mystical setting. 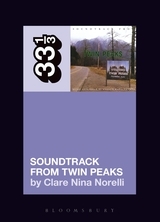 The soundtracks to the original series, the follow up feature film Fire Walk with Me, and the limited series return are all available through Hoopla, and there is an excellent book about the collaborative process between David Lynch and composer Angelo Badalamenti called Soundtrack from Twin Peaks by Claire Nina Norelli. Now that I am through all 18 parts, and have lived to tell the tale, I am also left wanting more. Hopefully this isn’t the last we’ve seen from the world of Twin Peaks, and that we won’t have to wait another twenty five years for our next piece of cherry pie. Not so very long ago, a small group of librarians had the idea to create a monthly “Podcast Bookclub” to which anyone could subscribe and follow along. We are super excited to announce that today (Friday, February 2, 2018) is the launch day for our first episode! You can find us at wpl-podcast.winnipeg.ca or wherever you find your other podcasts. We are calling it “Time to Read” and we would love it if you gave it a listen. Our first selection is Oryx and Crake by Margaret Atwood. When we announced this project on Twitter last month, Margaret Atwood HERSELF tweeted her approval, so no pressure, right? “Passionate and Witty”? You be the judge! Without giving too much away, in addition to talking about Margaret Atwood and her dystopian novel, we veer off on tangents involving sloths, CD-ROMs, Blade Runner, and Keanu Reeves. To learn more you’ll just have to listen. 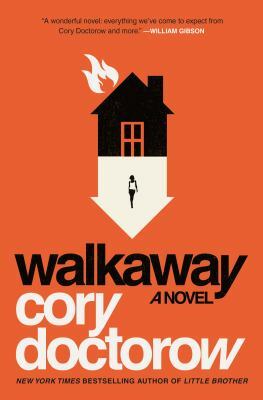 Haven’t read Oryx and Crake yet? What are you waiting for? The cool thing about podcasts is that they will be still available for listening down the road, so you can always go back and revisit old episodes. You’ll also be able to find us on Instagram, Twitter and Facebook, and we would love to hear from you after you listen as well. Even if you disagree with us. ESPECIALLY if you disagree with us! It’s all about getting a discussion going, and connecting in new and different ways. 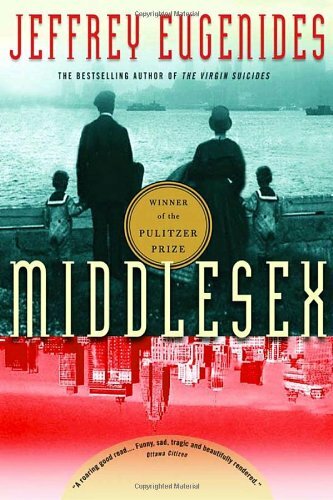 Next month’s book will be Middlesex by Jeffrey Eugenides, and I can’t wait to find out what all of us, and all of YOU, have to say about it. There’s a chill in the air most mornings now, and our regular activities have resumed after our summer break. Time is running out to finish that yard work and all that’s left to do is to batten down the hatches in preparation for the long winter ahead. Some people love autumn, and others find it difficult to get through. I’ve put together a little “Autumn Tool Kit” to help make it a little easier on those who struggle, and make it even better for those who love it. One of the things I like about autumn is getting our slow cooker down off the top shelf and coming home to the delicious smell of something that’s been cooking away all day. My favourite “go to” recipe is super easy. You just stick a boneless pork roast in there, cover it with a can of Coke, and cook it on low all day. About a half an hour before you eat, pull the pork apart and throw in some BBQ sauce. If you want to get REALLY fancy, you can chop up an onion in the morning and throw that in with the pork (but you don’t have to). Toast up a couple of buns, and bingo bango: you’ve got pulled pork for supper. Trust me, it’s easy and delicious, but if you’d like to venture out and try other slow cooker recipes this fall, why not check out one of our slow cooker cook books? One of our newer ones is “Adventures in Slow Cooking” by Sarah DiGregorio. Another fall activity you can try is canning and jarring. We had a presentation on jam making and preserving basics at the Louis Riel Library last month. Judy, our presenter, talked about Fruit Share Manitoba, an organization where you can sign up if you have fruit bearing plants in your yard and you don’t think you’ll get around to picking them yourself. If you register your fruit trees or bushes on the website, then people interested in looking for fruit can connect with you. The idea is that the pickers get to keep a third of the fruit, you as the fruit tree owner get a third, and a third is donated to charity. Once you have the fruit (or vegetables for that matter), the next step is to preserve them for the winter ahead. America’s Test Kitchen has a new book out called “Foolproof preserving: a guide to small batch jams, jellies, pickles, condiments and more”. Now that we’ve got food covered, you’ll need an activity to keep you occupied on these long nights. If you are interested in trying out knitting or crocheting, we’ve got you covered in one book called “The Complete Idiot’s Guide to Knitting and Crocheting” by Barbara Breiter and Gail Diven. Once you feel like you’ve got the basic hang of it, why not come out to Louis Riel’s Knit Night? We meet the first Tuesday of every month at 7 pm. (Our next meeting will be on November 7). Although it is not a knitting class, it is a chance for knitters of all experience levels and talent to come together, share projects, and work together on individual projects. Most months will include a presentation on a particular topic. Give us a call at 204-986-4573 to register. We even let crocheters come, but we draw the line at macramé.